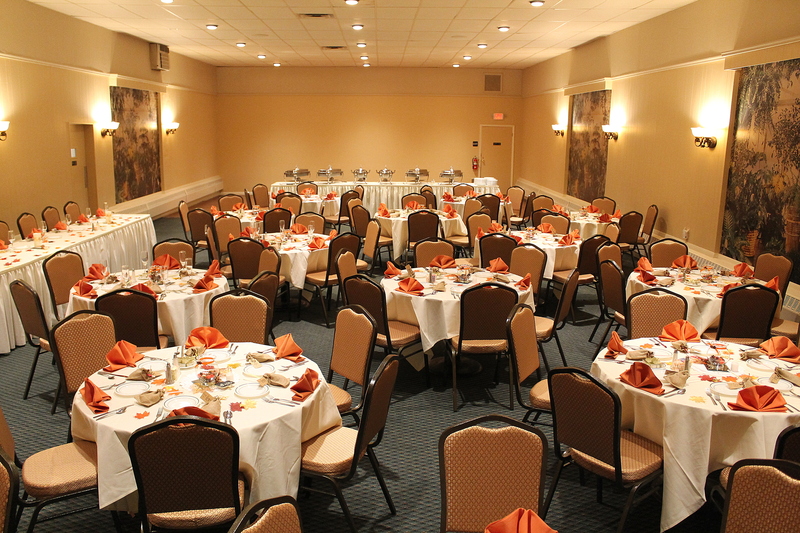 Ace’s was founded in 1953 by Frank “Ace” Babich, who catered events through 1959. 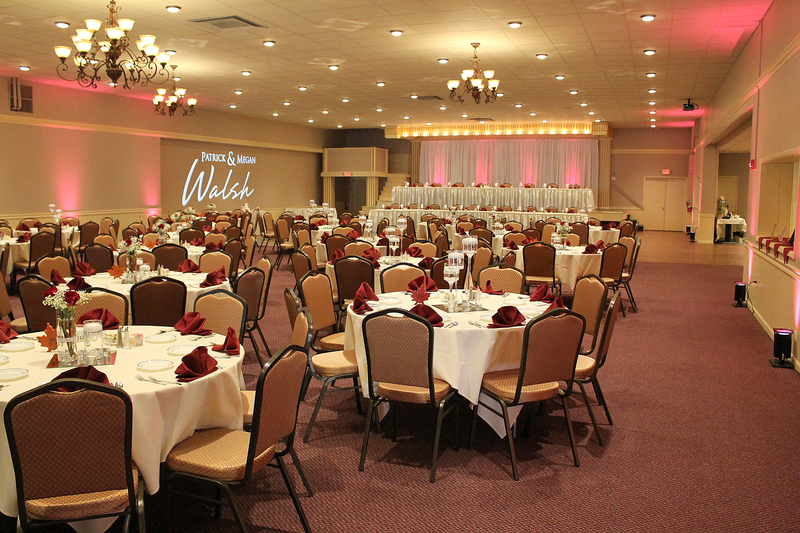 In 1960, Babich bought the old Rodoljub Croatian Educational Society Building (Currently The Chestnut Room) to expand his catering business. By 1970, Babich had purchased and demolished the properties at 314- 316 Chestnut St. and built the building know today as Ace’s. Furthermore in 1974, Babich purchased an additional property at 312 Chestnut Street and expanded on the building. 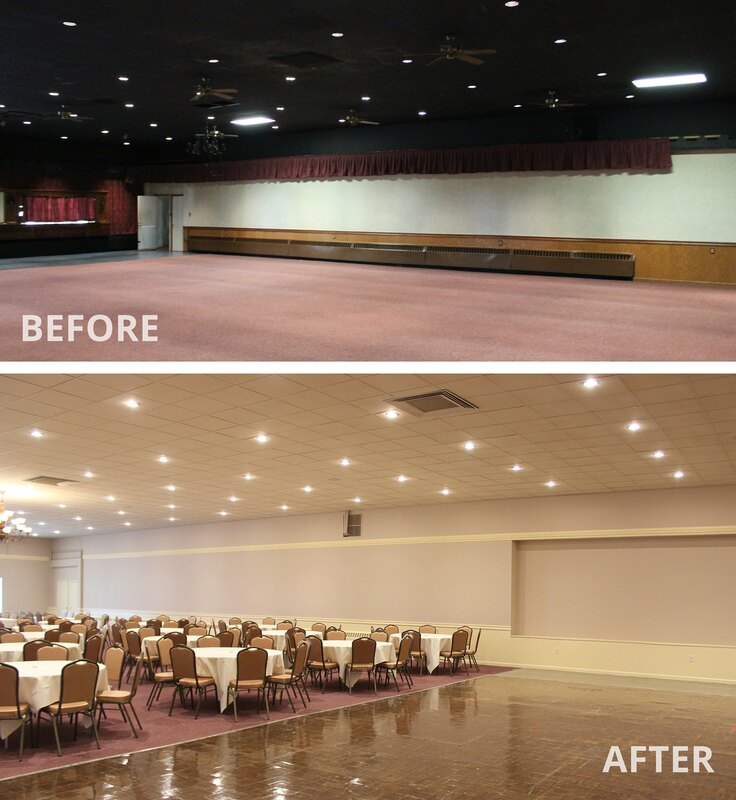 The 20,000 square foot Ace’s property spanned nearly an entire city block and was now complete and ready to host thousands of memorable events! 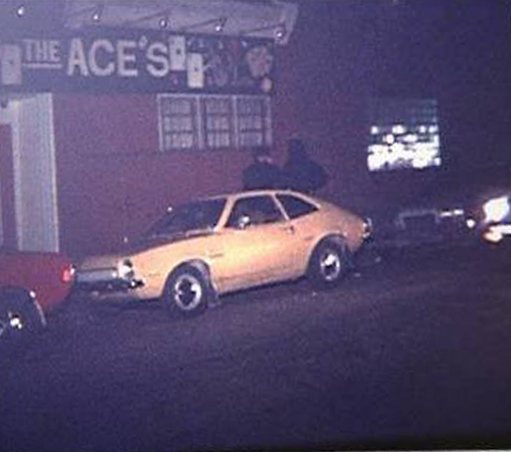 Ace’s was constructed in the late 1960’s and debuted on New Year’s Eve 1970. 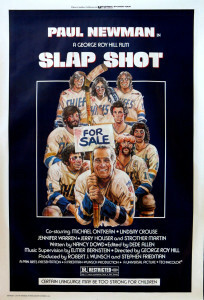 At the time the only public venue comparable in size was the War Memorial Arena. 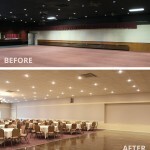 The large facility featured the main dance hall with an unheard of 40 x 40′ dance floor, three bars, a foyer and two alcove areas. 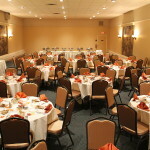 Additionally the “Chestnut Room” offered a secondary event space with it’s own bar seating area and dance floor. 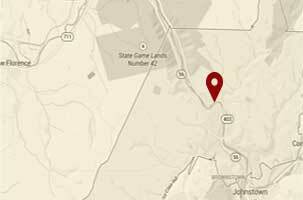 Ace’s heyday occurred in the mid 1970s, when Johnstown’s industry was booming and the economy was strong. 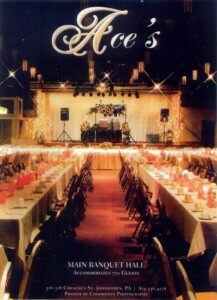 The venue was the hot spot for nightlife and the prime place to host a wedding or private function! Famous musical acts such as The Guess Who, Tommy James and the Shondells & KC & The Sunshine Band performed on Ace’s stage in the 70’s. 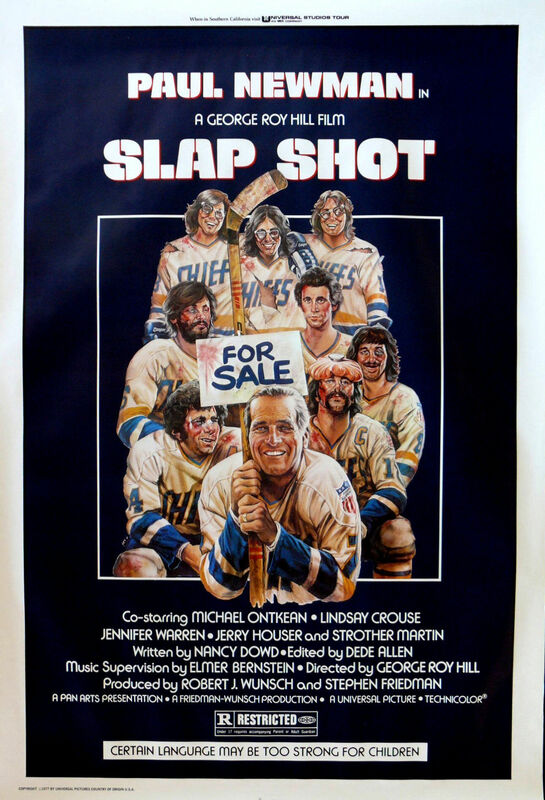 In 1977 the movie “Slap Shot” debuted in theaters and by no surpise, “Charlestown’s Number One Hot Spot”, “The Ace’s” was mentioned three times in the film. 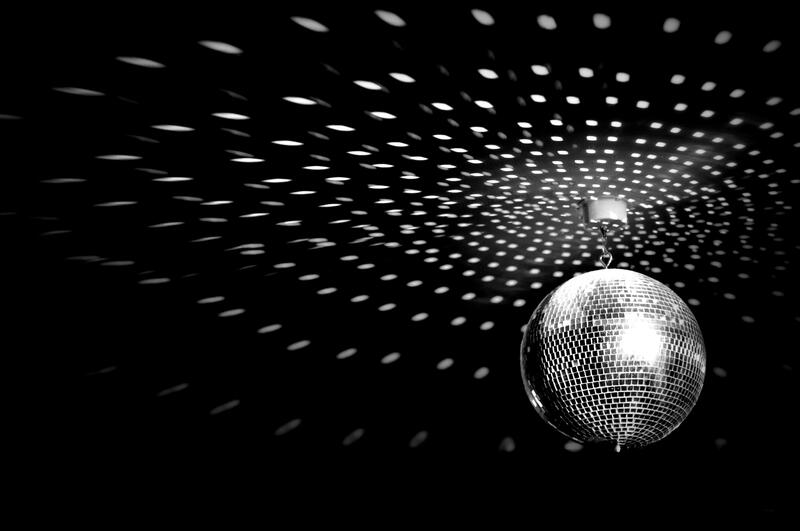 When disco was all the rage, Ace’s was rejuvenated once again. 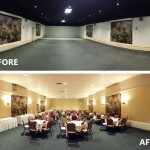 Tens of thousands of dollars were invested into the building. 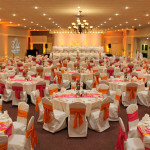 New drapery and fabrics were added, a state of the art sound system was install through out the entire venue, and that famous 30″ mirror ball was installed with a high tech special effects lighting system. 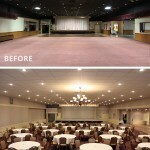 The venue had it all and was the prime night club and disco tech of Johnstown. 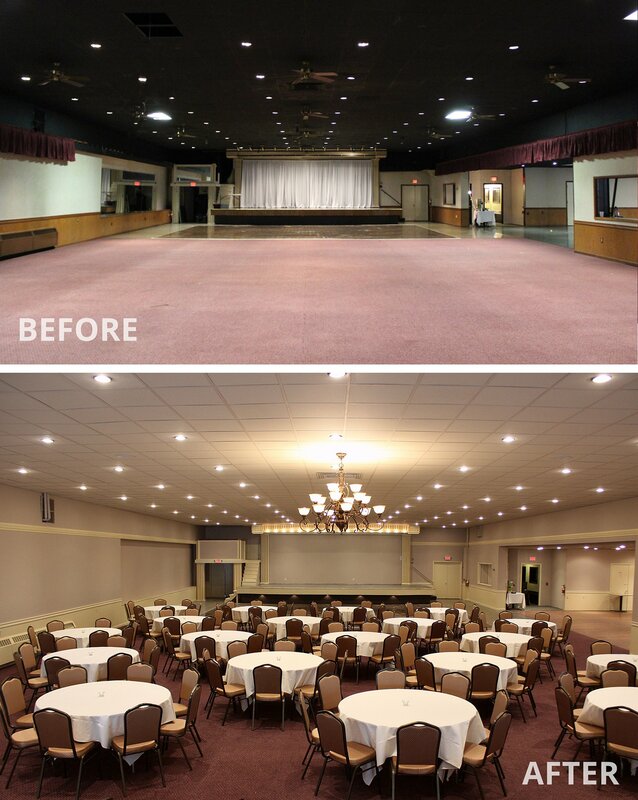 Worth noting, this was the time in Ace’s history when the original white ceiling was replaced with a more night club feeling black; a ceiling that would stay in place for nearly forty years until it was replaced in 2015. 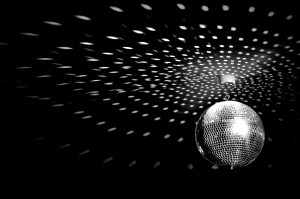 When disco was out, weddings and private events were in! Since the 1980’s Ace’s served Johnstown well by hosting numerous public concerts and events as well weddings and private functions. In the 1990’s Jack Babich along with his cousin Gary Matolyak partnered up to purchase and reinvent Ace’s once again. 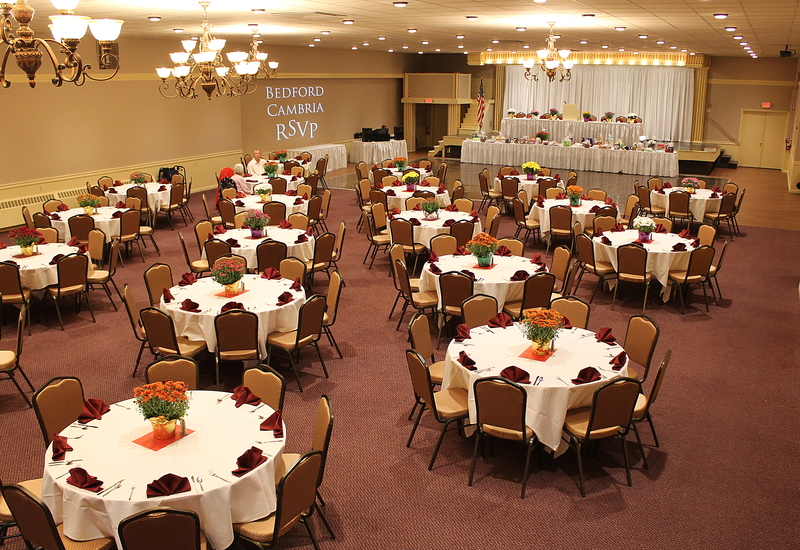 Jack and Gary revitalized the building and focused more on private functions like Weddings to grow the business. Matolyak’s involvement with Ace’s can be traced to the 1977 flood. Through the 90’s and into the new millennium the duo produced hundreds of successful events. 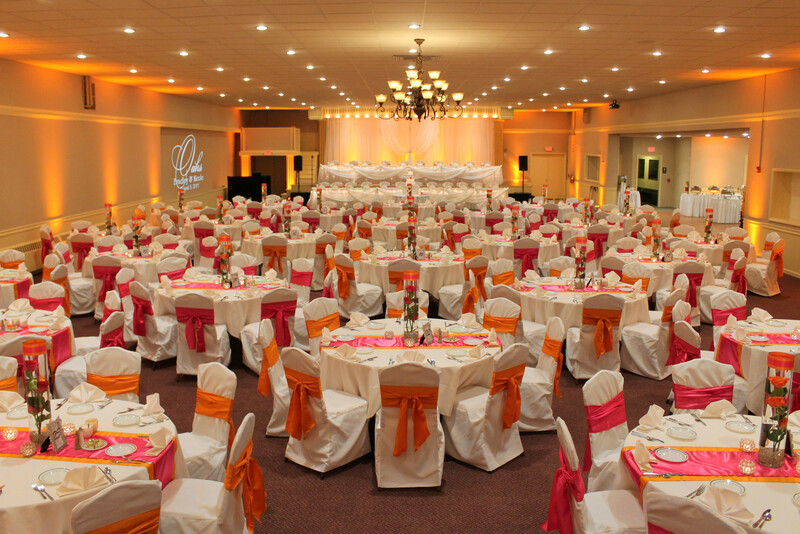 With the assistance of local Realtor, Helen Dugan, a wedding boutique opened during that time as well; making Ace’s a “one stop shop” for weddings. In 2006 Jack was called to the front line of duty with the US Armed Forces and sold his shares of the business to Gary’s Daughter Laura Matolyak-Neatrour, and the two continued to run the business. 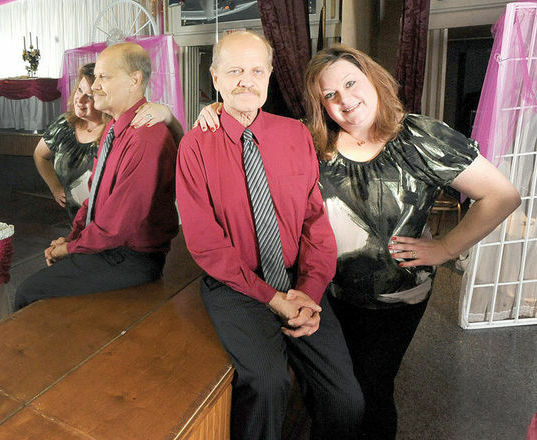 In March of 2014, after handpicking the new owners, Gary and Laura decided to sale the business to Joelle Hadix and Dustin Greene. 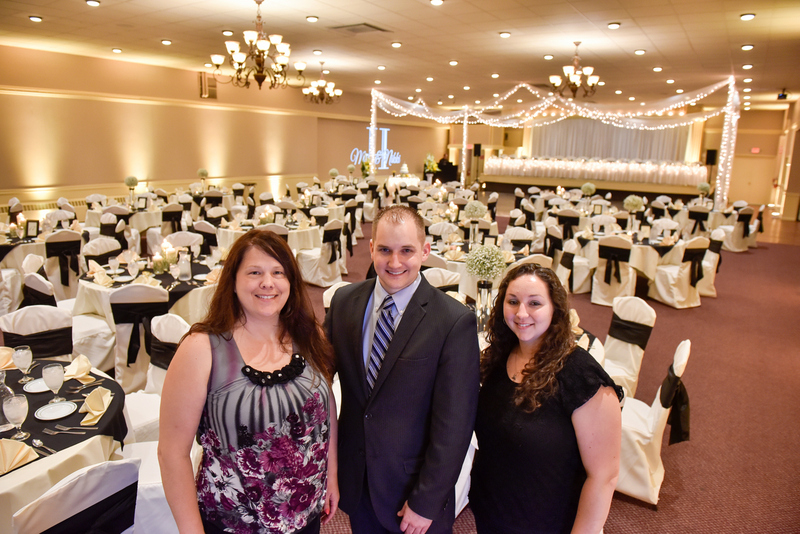 Joelle and Dustin are well known in the Wedding and Event market in Johnstown. 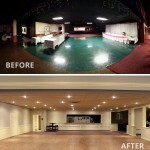 The duo already owned successful businesses for nearly 20 years and were considering buying a venue for a while. 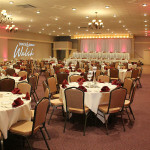 Joelle’s companies, Wedding Elegance and Carriage House Floral and Gifts focuses on the design and decor for Weddings and Events. 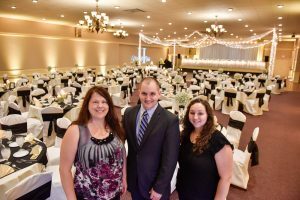 Dustin’s company, Top Dog Productions focuses on entertainment (DJ/MC), production, and coordination of Weddings and Events. 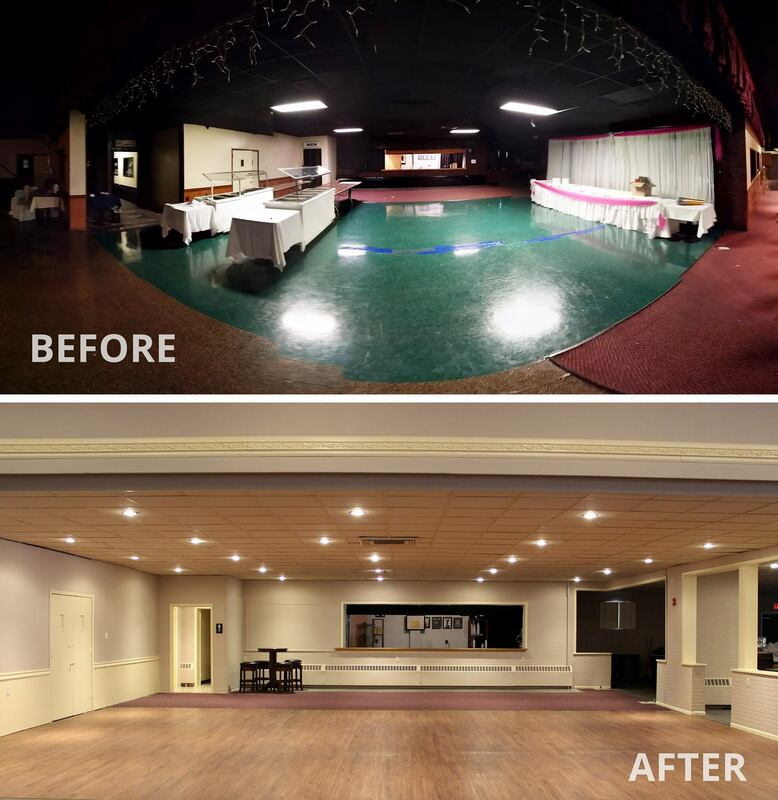 The duo had been producing weddings together for years but by purchasing Ace’s they had a plan to create a more streamlined experience for the customers. 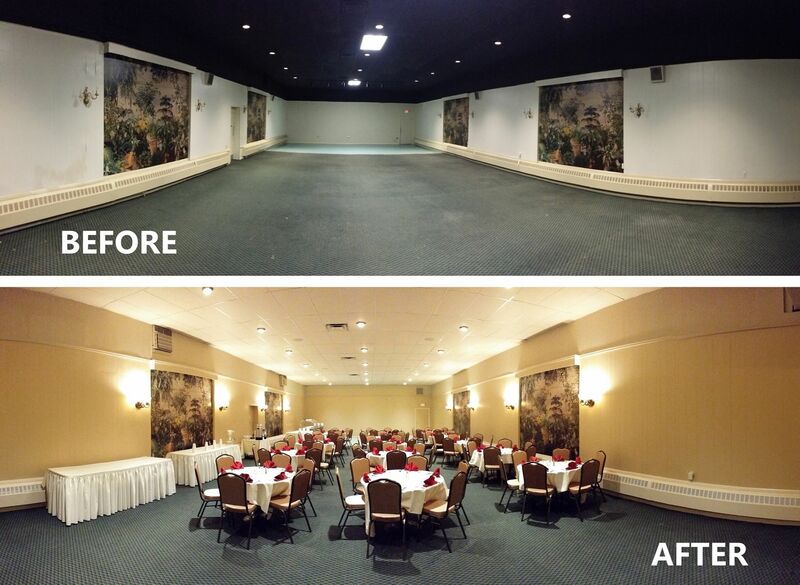 In 2015, as part of Joelle and Dustin’s business plan, the property was completely cleaned, remodeled and updated with a new look. Today you will find a totally remodeled Ace’s complete with classic styling and modern additions.